Magneciser Shoulder Wheel Exerciser, Wall Mounted [01-8025] - $337.00 : Balego & Associates Inc. - BalegoOnline.org, Providing the Products You Want and the Services You Need Since 1984. Improve circulation, muscle strength and ROM Adjustable magnetic resistance provides bi-directional resistive exercise. 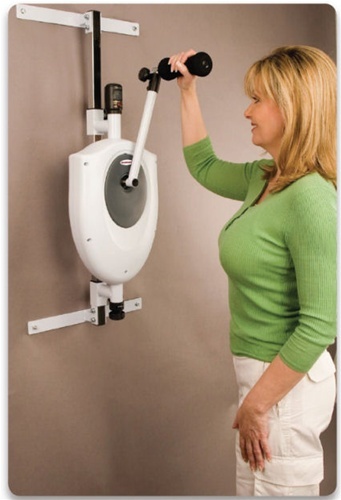 Height adjustable wall mount allows for sitting and standing. Arm adjusts from 13” to 22”. Has 5 function LCD display. There currently are 1309 guests online.